What is a Transponder Chip Car Key and How Does it Work? What is a Transponder Chip Key? If you ever wished you had a unique key to your car, then you might want to buy a transponder key. This key is programmed to only open your vehicle. A microchip is imbedded in the key and each key has its own serial number, which is programmed into the car computer. Transponder keys, which are also called “chip keys”, transmit electronic signals to your car. The main advantage to using these keys is that they make auto theft much more difficult. Transponder keys help deter car thieves since the car cannot be hotwired, and it is very difficult to copy a transponder key without the technical knowledge, codes and other information required. Car dealers used to be the only places where transponder keys could be replaced but now many locksmiths can copy and/or replace these keys. One advantage of these keys is that, since transponder keys are programmable, if the key is lost, the car owner has the option of programming a blank key or having a locksmith make a new transponder key. A replacement key can be created in about an hour, thus saving time and the trouble and expense of towing. Lost or stolen keys can be deprogrammed immediately. It is almost always less expensive to have a locksmith replace a key than to get a new key from your car dealer. Each car comes with two transponder keys. Transponder keys can also be programmed to turn off your car’s headlights from outside the car, to unlock your car door and to open the trunk. There are very inexpensive “do-it-yourself” transponder key kits for sale that claim to be able to copy keys, but they do not work. 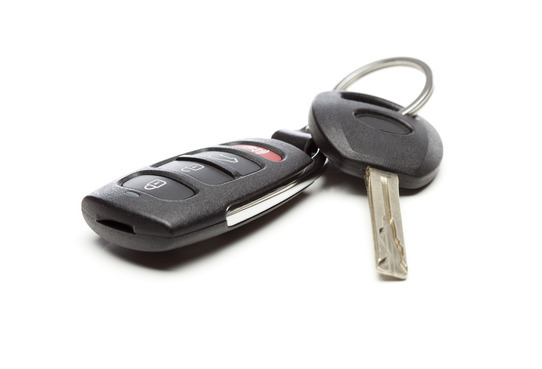 Transponder keys were introduced to the market in 1995 and are available for most new vehicles. Since the keys work using radio transmissions, there is no need to ever buy or replace batteries. Another benefit to using transponder keys is that since auto thefts have decreased for vehicles with these chip keys, insurance rates have gone down; check with your insurance agent regarding your rates if you already have a transponder key, since it can result in significant savings over time.